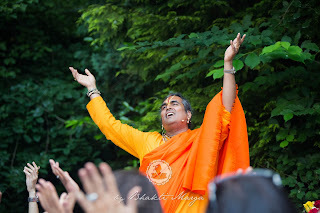 As you may be aware of, one of the main priorities for Guruji (Paramahamsa Sri Swami Vishwananda) is the creation of a new big temple at his main ashram Shree Peetha Nilaya. The temple is named Sri Kripeshwarnath, which means “Grace of God” (kripa & ishwara), who is the ruler (nath) of this world. It reminds us, that God is ultimately behind everything and that his Love will undoubtedly conquer the world. He constantly pours out his Grace. Yet how the Grace manifests in our lives, depends on how we respond to God's ever loving presence, and what space we chose to give it. That's one of the reasons temples are important in our lives. They help us come in touch with God's Grace. To open the hearts of humanity. Shree Peetha Nilaya as the main ashram is the heart of his worldwide mission. The Sri Kripeshwarnath temple is in turn the heart of his main ashram. So by enabling this new temple to come into being, you are placing your name and your Love quite literally into the heart of hearts, for good. Sri Kripeshwarnath will benefit countless seekers from around the world who will visit Shree Peetha Nilaya over the coming years, decades and centuries. This sacred place will play a significant role in bringing about the transformation in the world that is so badly needed. Whilst the current temple can hold around 100 visitors, the new temple will provide 4-5x the space. Often Guruji is emphasizing, that a temple is for everyone, and it can only happen if many helping hands and hearts want it and work together. For that reason we reached out to you all during Shivaratri 2016 with a special program called 300 (12), where the opportunity is presented to make a special pledge. The “300” campaign is looking for 300 angel devotees who give 100 eur per month over a period of 12 months. The “12” campaign is where 12 angels give 30’000 eur over the period of 12 months. 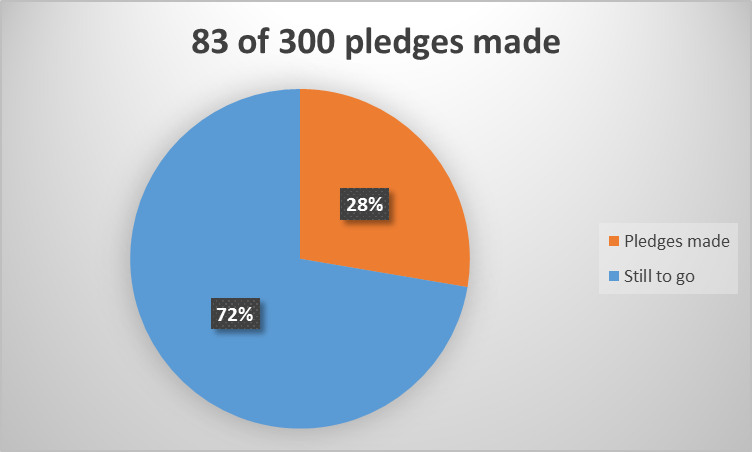 Many of you responded, and we are delighted to let you know that already 83 have pledged for the “300” program, that’s more than 25%, and 8 have pledged for the “12” program - more than 65%! This is a great start in a short period of time, and we thank you wholeheartedly. 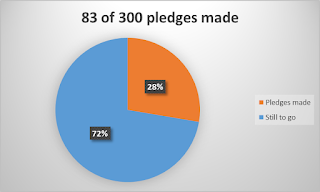 Still, to reach our goal, we need more of you to join this effort. The renovation of the current Darshan building consists of the three phases, of which the first phase is the most important: building the new temple. You can see monthly updates on the construction at our website - https://www.bhaktimarga.org/fundraising. It is located in the basement (former swimming pool) and construction works commenced half a year ago. Based on the assessment of our architects we need 800’000 euros to complete the works for the temple. Our goal is to open it in summer 2017. We’ve collected over 270’000 euros thus far. For us to reach the needed 800’000 euros, our “army” of 312 angels who are determined to make the special pledge needs to grow further. As a sign of your connection to the temple and to Guruji, and in turn of his connection to you, your name (and if you want that of your family members) will be engraved on the future Sri Kripeshwarnath altar (see video on https://www.bhaktimarga.org/fundraising). You can also join forces and build teams whereby several people together make one pledge. Some of you have already done that - it’s another beautiful way to support this initiative. Recently as Guruji exited the current temple and saw how many people had to stay outside due to its limited size, he said: "There are so many people, we really need the new temple. If we had it, you could all fit in." It’s not the master who needs us, it’s us who need him, his Love and Grace. This temple is for us and humanity, and it’s us who have to want to make it happen. By giving a part of ourselves, we show to God and Guru that we really want him to be present in our lives. So let’s do this! 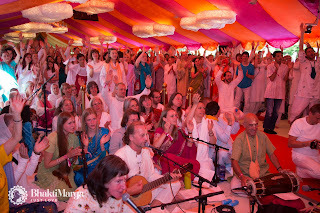 Altogether Bhakti Marga is active in more than 40 countries. On average this means less than 10 individuals in each country. 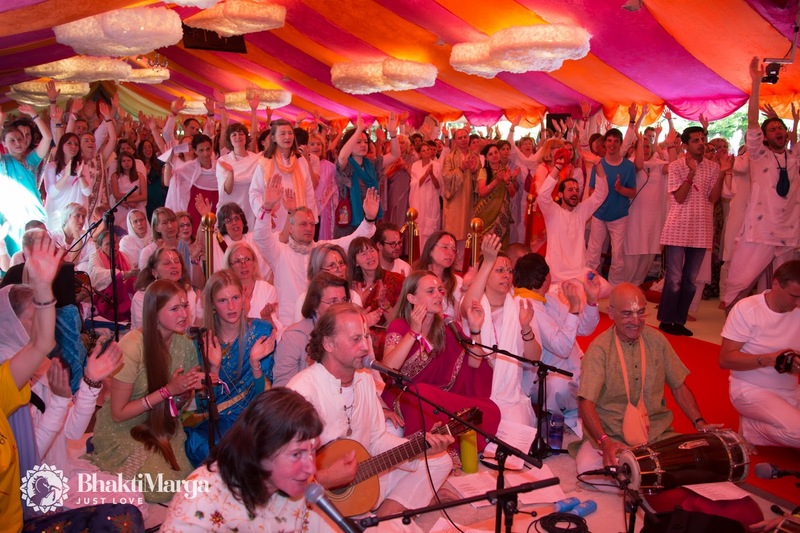 If you feel you can be one of these angels who are building this temple for humanity’s sake, simply send an email to fundraising@bhaktimarga.org with the subject line “300” (or “12”), and we will provide you with instructions of how to make your contribution. We look forward to hearing from you.